I hope you guys are having a long, relaxing, lazy-day, happiness-filled holiday weekend. I am embracing the 'lazy day' part of all that. After a good week and a half of traveling up the east coast I am pretty excited to have a few days of doing nothing, back here in LA. I played around in the kitchen all weekend, watched some shows, went for a few walks under the sunny blue sky and soundtrack of birds chirping, and played with the kittens - a lot. Happy cats. I guess in my family, we never really got into the Memorial Day barbecue thing, but the Memorial Day lazy weekend thing, we are pros at that. So however you spent this long weekend, I hope you found some bliss. And while I love the long weekend, I have to pause a moment and remember all those who died in active military service. I cannot imagine being a family who never gets to say goodbye. Or even to be one of the millions of families who constantly worry about their loved ones serving far away from home. My love and thanks goes out to all of you. Thank you. Summer Salad. Memorial Day also seems to be the unofficial start of summer. And with summertime, comes salads and smoothies. My two fave things. And for salads, I love the variety of toppings that pop into my mind for the summer season. For this salad.. I had been craving corn and black olives - salty-sweet toppings. 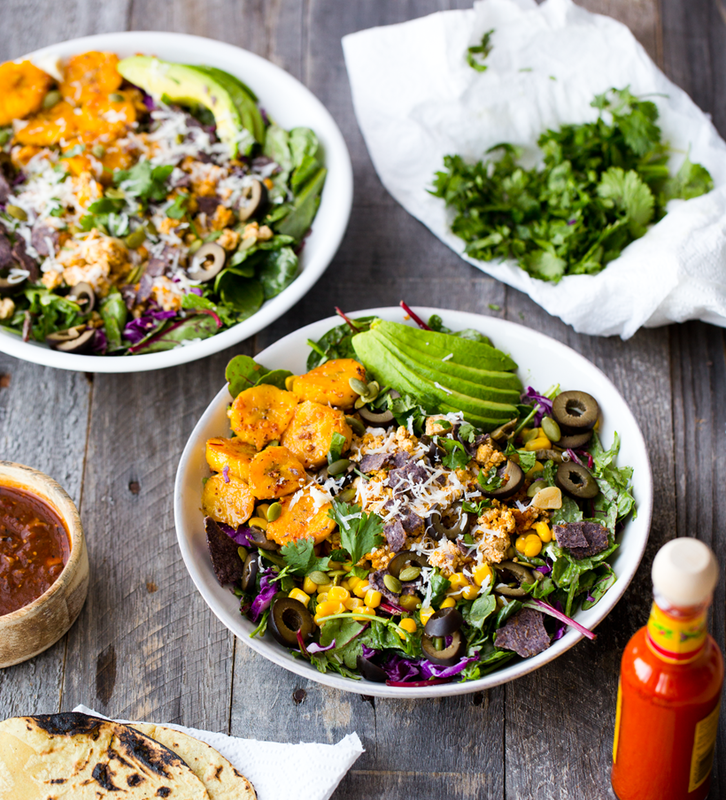 So this Vegan Summer Fiesta Taco Salad with plantains, corn, olives, avocado and fajita tofu just kind of made itself. This salad reminds me of early summer suppers. And I loved it so much I am making it again tonight!.. 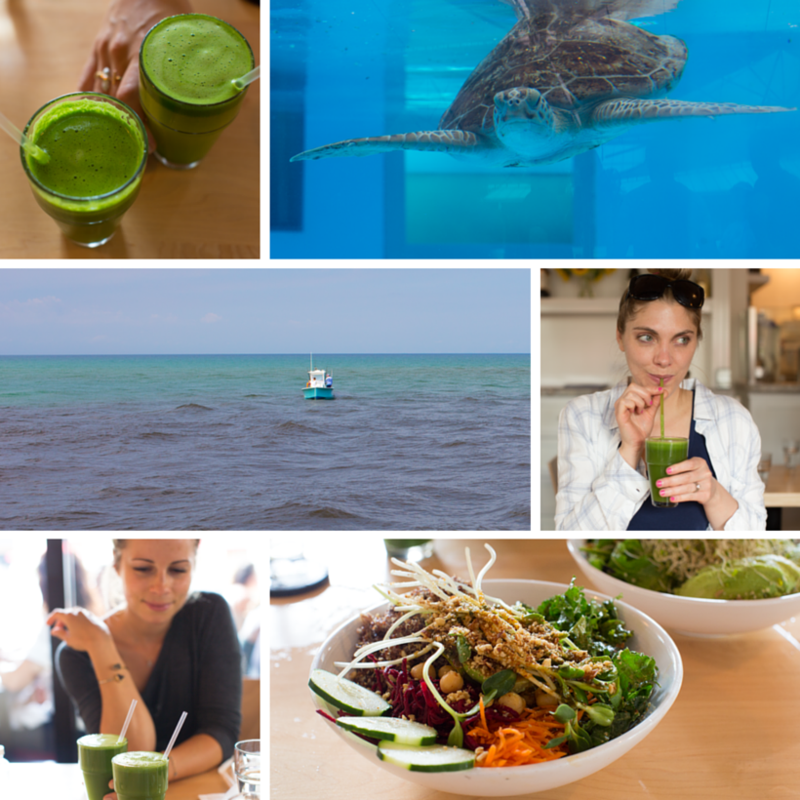 Travel Ramblings: Fearlessness, Florida, Friendships, Vegan Eats and Rescue Turtles. "..craft a coat of armor for this thing called life, bind it together with love and laughter, truth and friendships. With that, you can be fearless. " Coconut Glazed Meyer Lemon Poppyseed Cake. 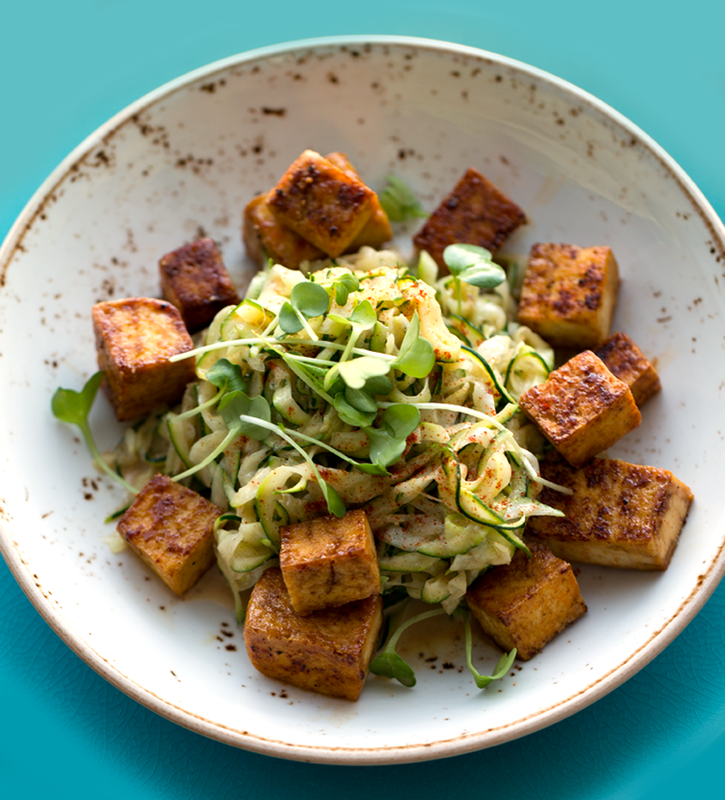 vegan + gluten-free. Weekend baking recipe for you today! Perfect for brunch or a spring-y tea time. Treasure Chest. A few weeks ago a giant box plopped on my doorstep. I opened the box and the most fragrant, energizing, joyful citrus aroma lifted into the room as I gazed at a giant treasure chest of gorgeous, sunshine gold Dandy® Meyer lemons. I was so excited to experiment with Meyer lemon recipes. 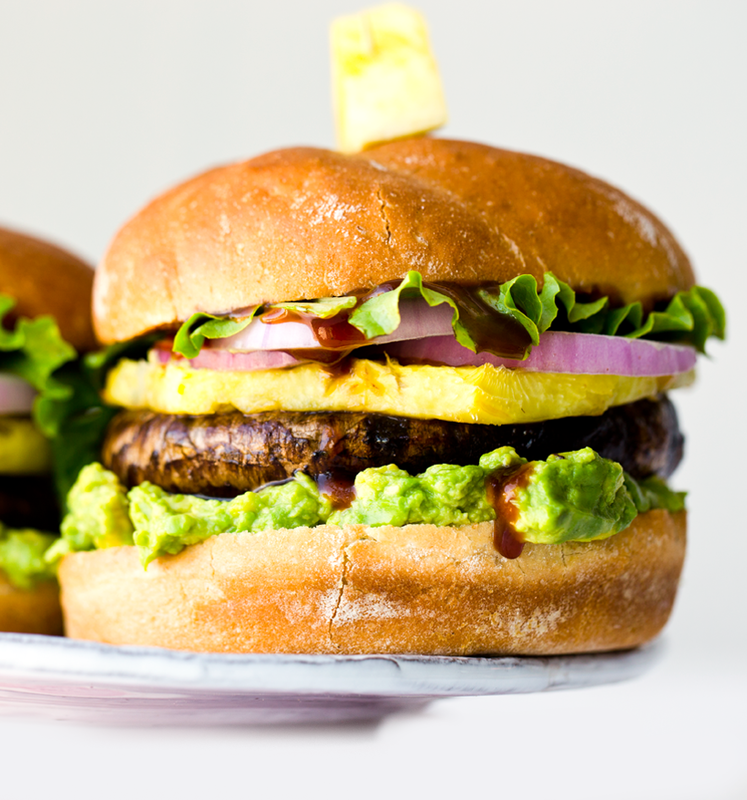 I made Meyer lemonade, Meyer lemon salad dressings and more. 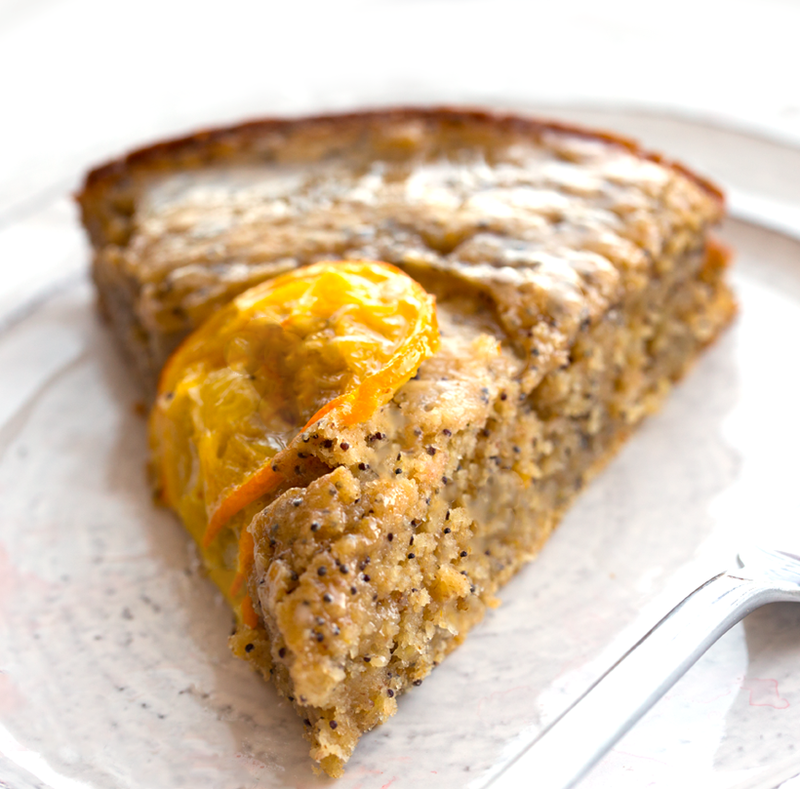 And this sassy-sweet poppyseed cake. Wellness Wednesday! 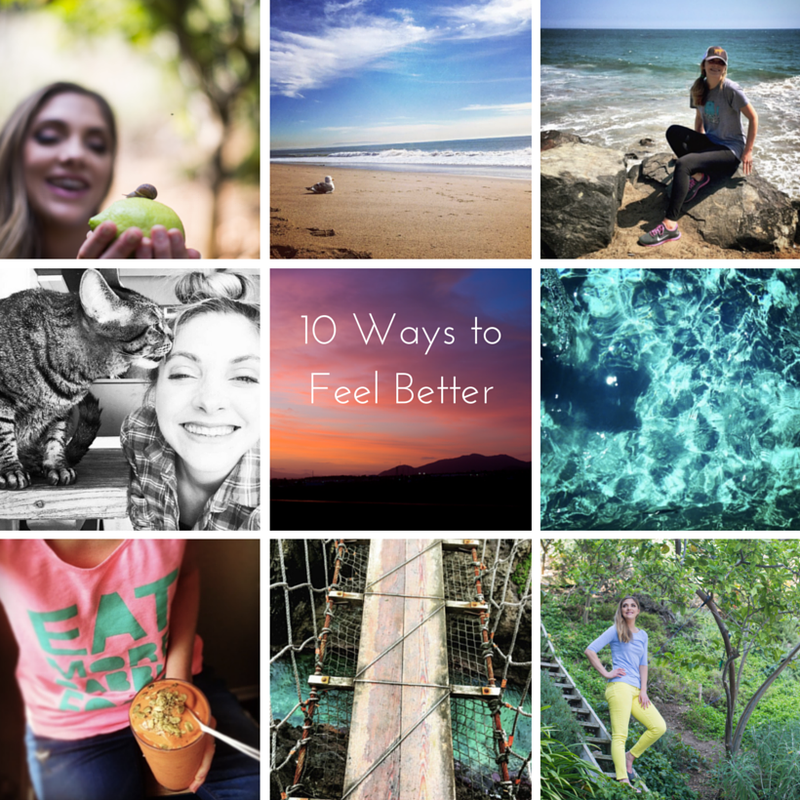 10 Ways to Feel Better, When You Feel Like Crap. This post is inspired by a true story. Mine. 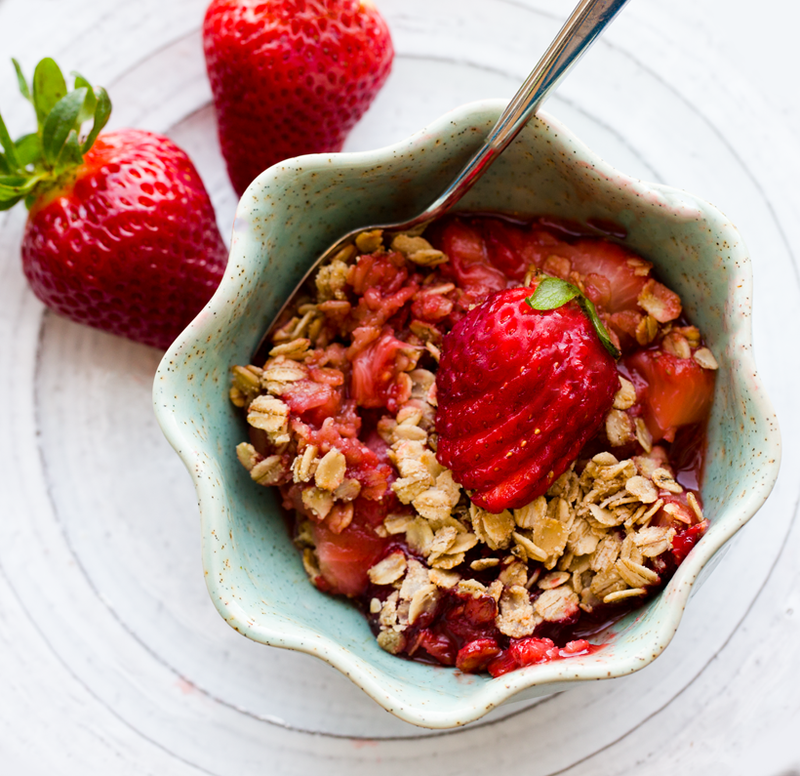 Simple Strawberry Crisp for Spring! Get the recipe, plus a FREE vegan dessert e-book and enter my $200 vegan baking giveaway..
Lots of goodies in today's post! First off, these addictive (healthy-delicious) Vegan Peanut Butter Cookies. 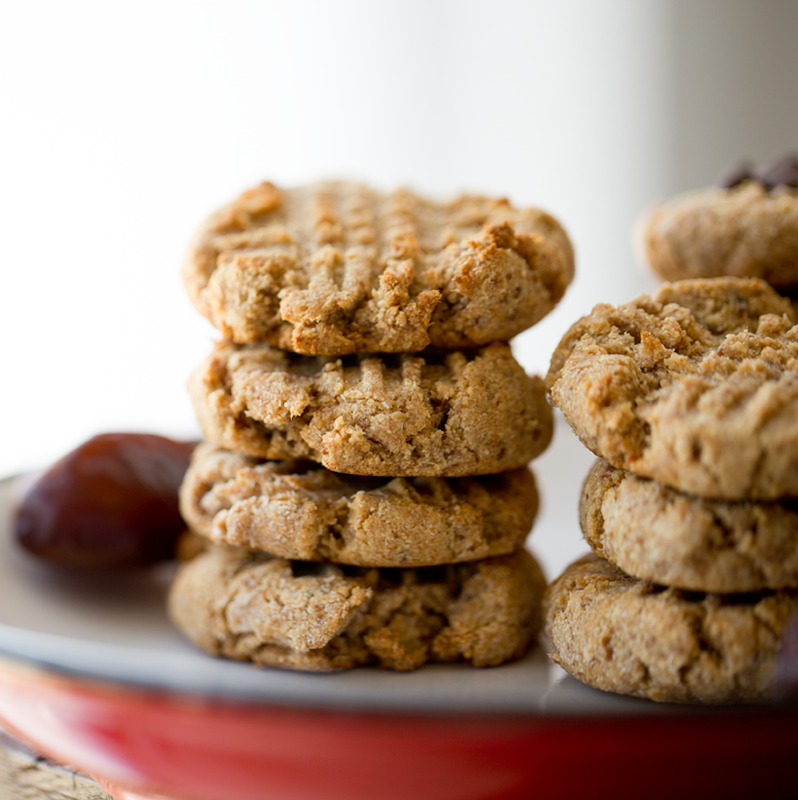 These cookies are grain free and naturally sweetened -- using sticky sweet Natural Delights Medjool dates. And there are only three main ingredients.